What would it take to position a non-profit organization’s contributions to the field of education as a viable offering to and business opportunity in the for-profit sector? Are they ready for the programmatic and technology challenges ahead? What do they need to know to focus their resources and make best use of their existing investments? A group of MBA students at the University at Albany are going to tackle these questions this semester in Dr. Eliot Rich’s course, Systems Analysis and Design. ACASE is collaborating with Dr. Rich and his students in a project called the Assessment Information System (AIS) Discovery project as the students take on a real-life case study: the opportunities and challenges of bringing ACASE’s Assessment Information System (AIS) into the 21st century and positioning it as part of a viable business opportunity. The goal of the project is to engage the students in an authentic learning experience with a real-life organization, in which they play the role of business analyst. During the course of this project, students will meet with and interview a variety of internal and external stakeholders at the organization. From this information they will come to understand the business problem and types of needs an information system may fulfill. The students will specify requirements and technical considerations for updating the AIS so that it will be sustainable and ready for emerging markets and technologies. ACASE is excited to embark on this collaboration with Dr. Rich and his students, bringing an authentic learning experience that we feel will add value to the students’ professional development, as well bring fresh, new perspective to our organization’s opportunities and challenges for the future. The Assessment Information System is unique in its use of truly educational information. 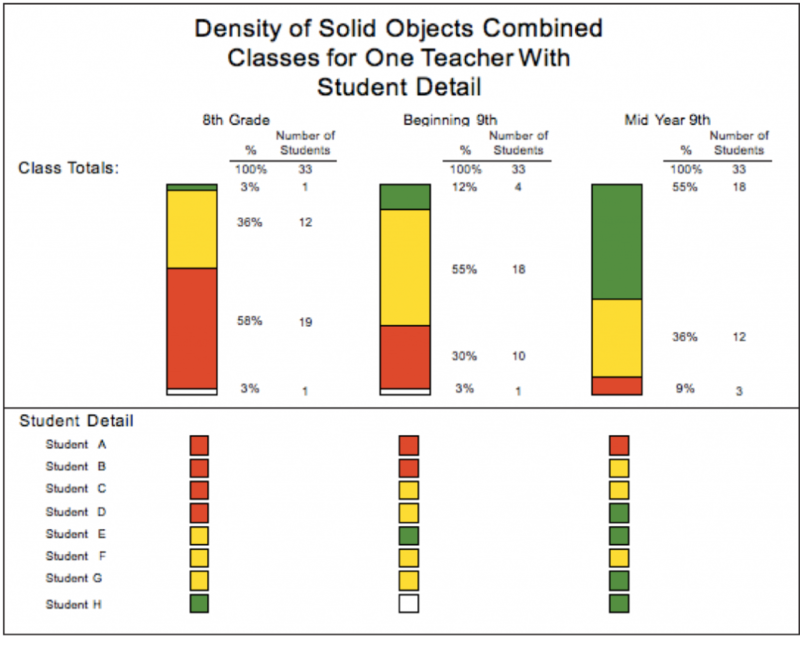 Educators can collect and display this information over time and use it to inform their instructional decisions.